NOT A SHORT SALE OR FORECLOSURE, THIS HOME IN THE SOUGHT AFTER WOODVIEW VILLAGE SHOWS LIKE A MODEL. THE BEAUTIFUL TOWNHOUSE HAS 4 BEDROOMS WITH 2 FULL BATHROOMS AND 2 HALF BATHS. 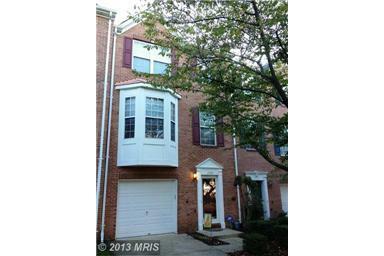 SUNNY LIVING ROOM, 2ND LEVEL HARDWOOD FLOORS, GOURMET KITCHEN WITH GRANITE COUNTERS, AND HUGE DECK OFF THE KITCHEN. FINISHED BASEMENT, 1 CAR GARAGE AND FENCED STONE PATIO WITH HOT TUB. THIS HOME IS A MUST SEE.